The Giants have had an offseason rash with upheaval and turmoil. But in the midst of all of it, the new guy at the rudder, Farhan Zaidi, has been quietly puttering away to prepare a cohesive ball club for 2019. Despite dismal records in 2017 and 2018 and a prevailing opinion among many in the industry that the San Francisco magic of the first half of the decade has worn off, Zaidi did not turn the team into an organ harvesting operation when he came on board in November. Zaidi instead spent the majority of the offseason sneakily building depth into the Giants system, trading for and signing minor leaguers and low-cost fringe players you’ve never heard of and picking up others off waivers, only to quietly designate them for assignment a few days later to stash them away on the farm. Most of these semi-anonymous players have been in some way connected with the Dodgers organization, suggesting that, whether or not Zaidi crossed paths with the men themselves, it’s likely their player development files crossed his old desk in the Los Angeles front office. Meanwhile, he offered non-roster Spring Training invitations to a host of veterans in the hopes that one or more might prove to be just the right kind of spackle to fill in roster holes here and there. As the Giants sped along the home stretch toward Opening Day, Zaidi’s activity built to a fever pitch. Since Thursday, he’s made six relatively anonymous trades, many of which have heavily shaped the roster set to face the Padres Thursday. The trade perhaps most noteworthy to Giants fans came just before midnight Monday, when the team announced they’d traded left-hander Chris Stratton to the Angels for 26-year-old right-handed reliever Willliams Jerez. Ching Wong/SFBay San Francisco Giants starter pitcher Chris Stratton (34) pitches in the third inning as the San Diego Padres face the San Francisco Giants at AT&T Park in San Francisco, Calif., on Friday, June 22, 2018. San Francisco has a glut of lefty starters so the 28-year-old Stratton would’ve likely languished in Sacramento for much of 2019, and with southpaw Andy Suárez already starting the season with the River Cats it makes sense to cash in value for that surplus. And so in the wake of the Stratton trade, the Giants settled on a starting rotation. 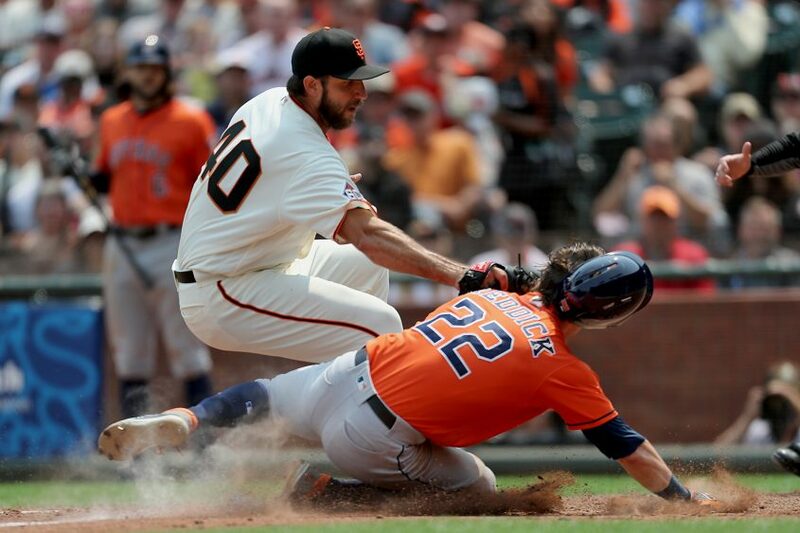 Scot Tucker/SFBay San Francisco Giants starting pitcher Madison Bumgarner (40) tags out Houston Astros right fielder Josh Reddick (22) attempting to steal home in the sixth inning as the Houston Astros face the San Francisco Giants at AT&T Park in San Francisco, Calif., on Tuesday, August 7, 2018. Madison Bumgarner (129-2/3 IP, 6-7, 3.26 ERA), who faced Kansas City in his final spring outing for the second year in a row last week — and this time, made it out of the game with all digits intact — will lead the Giants into battle on Opening Day in San Diego Thursday as he aims to take on his first full season since 2016. 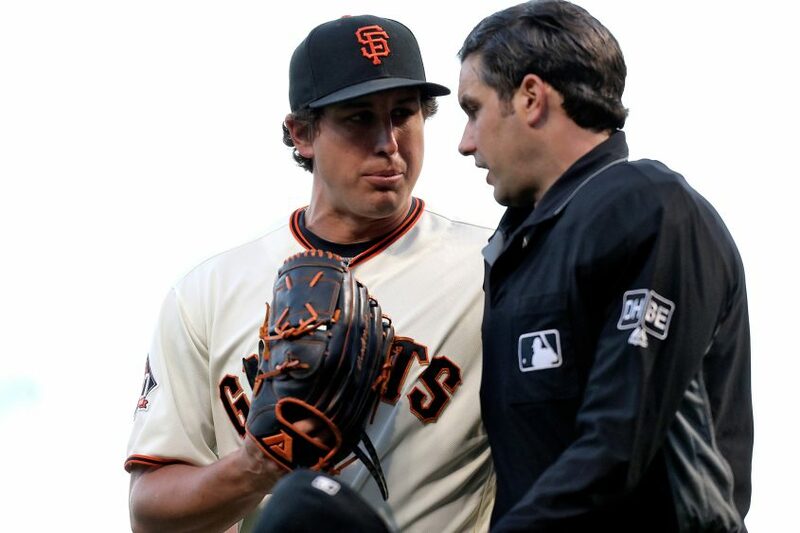 Scot Tucker/SFBay San Francisco Giants pitcher Derek Holland (45) has a conversation with home plate umpire John Tumpane (74) in the third inning as the Colorado Rockies face the San Francisco Giants at AT&T Park in San Francisco, Calif., on Tuesday, June 26, 2018. The Giants hope Derek Holland (171-1/3 IP, 7-9, 3.57 ERA) can continue Act II of his career this season after he reinvented himself by switching to the left side of the rubber late last spring in an effort to counter a loss of velocity with improved deception. He threw a team-leading 171-1/3 innings in 2018, some of which were out of the bullpen, and struck out a team-best 169 batters. 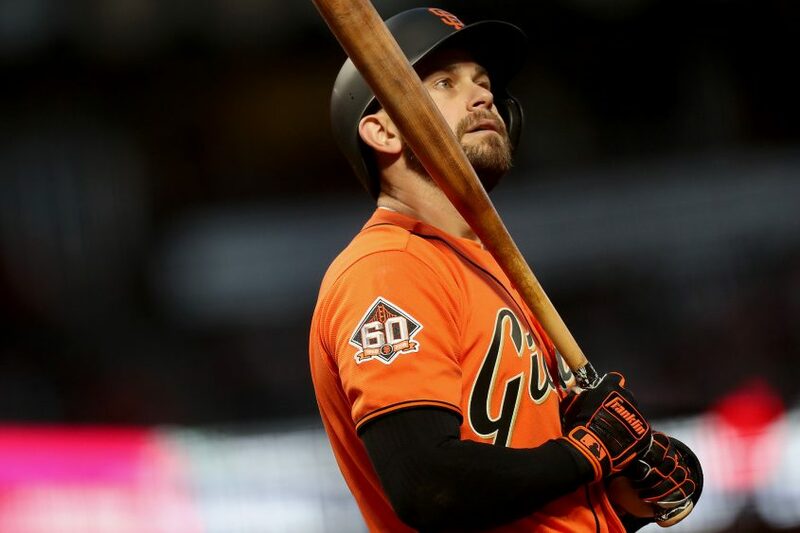 The Giants inked him for a one-year $7 million deal with an option for 2020 in January and he will be San Francisco’s No. 2 starter heading into the season. Scot Tucker/SFBay San Francisco Giants starting pitcher Dereck Rodriguez (57) gets the ball back after giving up a home run to Los Angeles Dodgers center fielder Joc Pederson (31) as the Los Angeles Dodgers face the San Francisco Giants at AT&T Park in San Francisco, Calif., on Saturday, September 29, 2018. After Dereck Rodríguez‘s (118-1/3 IP, 6-4, 2.81 ERA) stellar rookie campaign was good for 2.3 wins above replacement — fifth-best on the team and just shy of Madison Bumgarner’s 2.5 — the 26-year-old converted outfielder easily slides into the third spot in the rotation. Scot Tucker/SFBay San Francisco Giants pitcher Jeff Samardzija (29) looks on in the ninth inning as the Oakland Athletics face the San Francisco Giants at AT&T Park in San Francisco, Calif., on Sunday, July 15, 2018. 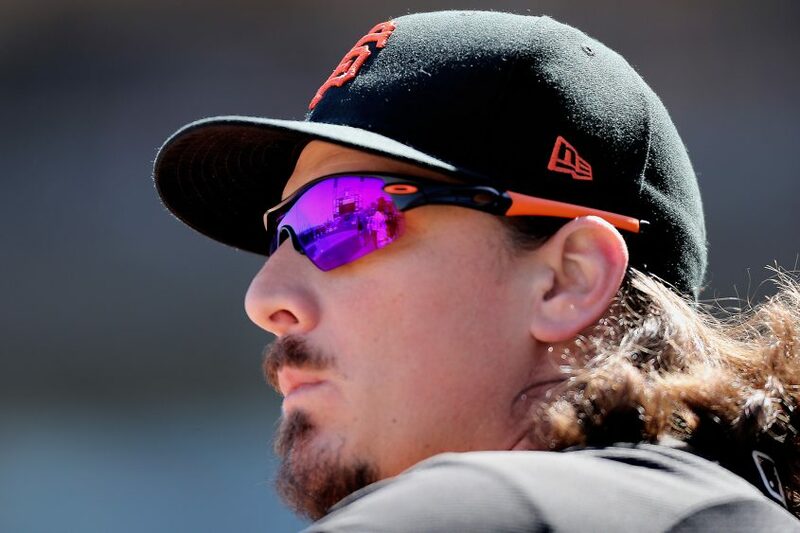 The Giants believe veteran Jeff Samardzija (44-2/3 IP, 1-5, 6.25 ERA) has fully recovered from last year’s nebulous right-shoulder injury, and Bochy said he’ll pitch fourth in the rotation. The Shark spent the offseason in San Francisco rehabbing and working out at the ballpark five days a week to get back to 100 percent right out of the gate, and his Spring Training performance seemed to indicate that it paid off. 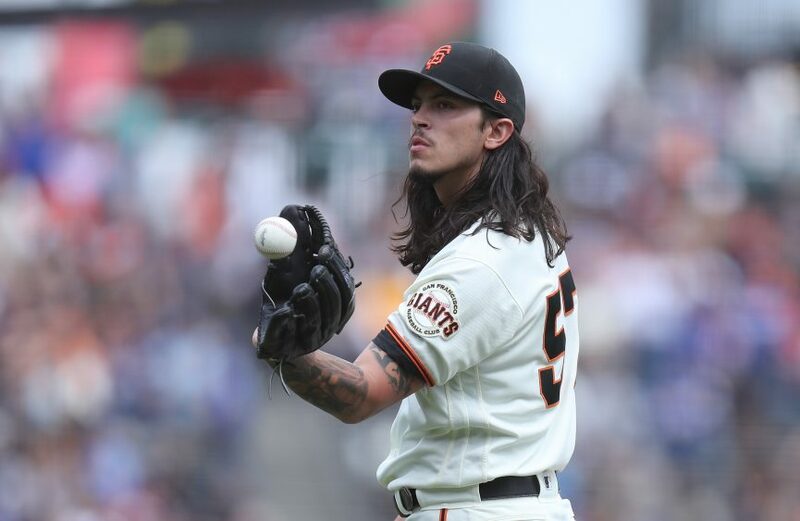 He appears to have regained his velocity and control and looks more like the Samardzija the Giants signed three years ago than he did in all of 2018. Last season he allowed 26 walks in 44-2/3 innings, while this spring he walked just six batters in 22-2/3 innings. Scot Tucker/SFBay San Diego Padres pitcher Drew Pomeranz (13) throws a pitch in the third inning as the San Diego Padres face the San Francisco Giants at AT&T Park in San Francisco, Calif., on Monday, May 23, 2016. Drew Pomeranz will be the new kid on the block. He had a rough 2018 with Boston that was injury-plagued and represented a major downturn for him. In 74 innings he struggled with control, allowing 10.6 hits and 5.4 walks per nine innings and posted a 6.08 ERA. He came to spring training 15 pounds heavier this year, and while generally that’s not the kind of thing athletes brag about in the annual, “I’m in the best shape of my life” song and dance, he said in 2018 he lost 15 pounds and he attributed that to some of his struggles. This year’s weight gain was an intentional move to try to recover. The Giants are hopeful that his numbers in the Cactus League are indicative of a return to form for Pomeranz as he broke camp with a 2.81 ERA and struck out 8.4 batters per nine innings. One focus of Zaidi’s incessant tinkering has been the search for a backup catcher, or two. Though Aramís García enjoyed September in San Francisco last season, he started the 2018 season in Double-A and was rushed up with an eye toward backing up Nick Hundley once it became apparent that Buster Posey was destined to go under the knife. But García could definitely benefit from more time to mature down on the farm, and Zaidi seems to value that plan, giving consideration to a veritable army of second-string backstops of all ages. 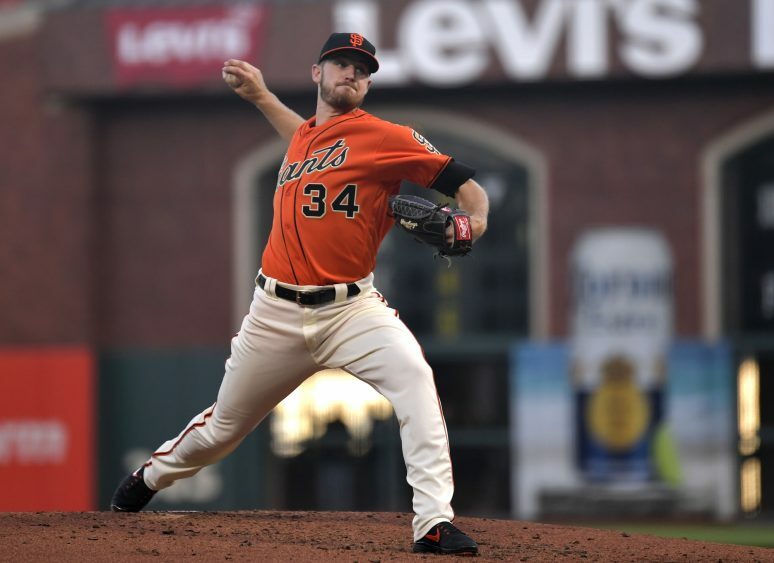 Among them were non-roster invitees Rene Rivera and Stephen Vogt and waiver wire pick-up Tom Murphy, but he ultimately settled on veteran Erik Kratz, whom the Giants acquired Sunday from Milwaukee in a trade for minor league infielder C.J. Hinojosa. Kratz, 38, was a late bloomer who made his debut at 30 with Pittsburgh and has never gotten into more than 68 games in a season. He has a career WAR of 0.3 and hit .236 with six homers and six doubles in 219 plate appearances in 2018 for the Brewers. He will take not only Hundley’s job, but his jersey number (5) and, it turns out, his locker in the clubhouse. 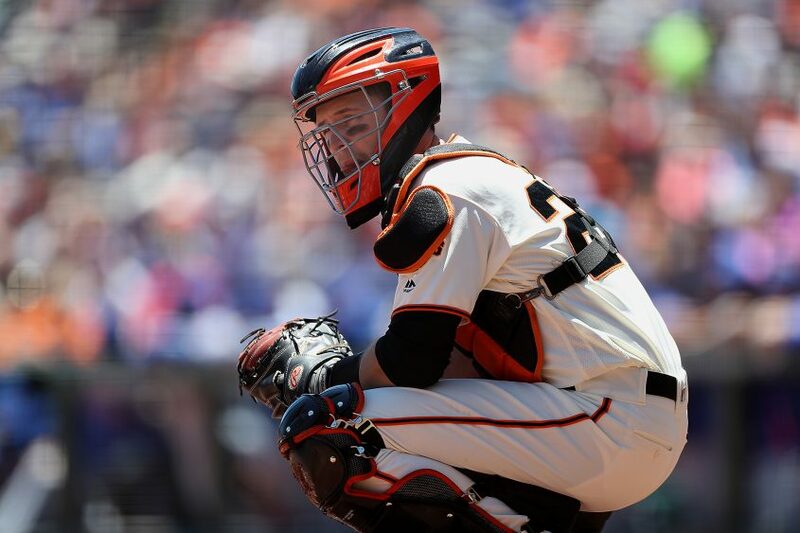 Scot Tucker/SFBay San Francisco Giants catcher Buster Posey (28) looks for a sign as the Chicago Cubs face the San Francisco Giants at AT&T Park in San Francisco, Calif., on Wednesday, July 11, 2018. Posey, meanwhile, is back and ready for action after surgery in August to repair a torn labrum in his right hip. In 2018 the All Star noted that the injury was not an acute one. He said he’d been dealing with worsening discomfort for multiple seasons and, with the surgery out of the way, the team expects to see classic Posey back, particularly at the plate. The hip injury sapped much of the power from Posey’s swing, and his .284 batting average last season was primarily a function of his ability to compensate by using his hands. The Giants have made no secret that they plan to give Posey lighter work behind the plate in 2019, yet they enter the season without carrying a third catcher. Nevertheless, seasons of 120 starts behind the plate for the franchise player are likely in the past. Fans should expect to see him behind the dish around 100 games in 2019, with perhaps 25-30 at first base. Scot Tucker/SFBay San Francisco Giants third baseman Evan Longoria (10) reacts after fouling off a pitch in the fourth inning as the Milwaukee Brewers face the San Francisco Giants at AT&T Park in San Francisco, Calif., on Friday, July 27, 2018. The core infield will be a no-brainer for 2019 with the Brandons Belt and Crawford at first and shortstop respectively. Joe Panik signed a one-year deal this fall to keep the band together and naturally he will maintain second base responsibilities while Evan Longoria will continue on at the hot corner. Of note among the core players is Panik, who has slimmed down and appears more chiseled and lithe this spring. The Gold Glove second baseman is, at 28, the youngest of the four everyday infielders and is the most tradable. But, much as the team overall, he had a down 2018 and his stock wasn’t very high. He could be traded at the deadline if that changes. Scot Tucker/SFBay San Francisco Giants center fielder Steven Duggar (6) scores in the second inning as the Oakland Athletics face the San Francisco Giants at AT&T Park in San Francisco, Calif., on Saturday, July 14, 2018. Steven Duggar made a fairly airtight case for himself in center field based on his performance last year and this spring. 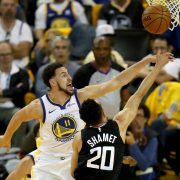 The defense, foot speed and heart were all on full display in 2018, and the offense was just peeking out when the rookie tore the labrum in his right shoulder on a hard tag as he was sliding into second last August. Bochy and Zaidi made it clear before Spring Training even started that Duggar’s name was already written in pen on the 25-man going into the season. Scot Tucker/SFBay San Francisco Giants left fielder Mac Williamson (51) reaches for an RBI single in the third inning as the Miami Marlins face the San Francisco Giants at AT&T Park in San Francisco, Calif., on Monday, June 18, 2018. 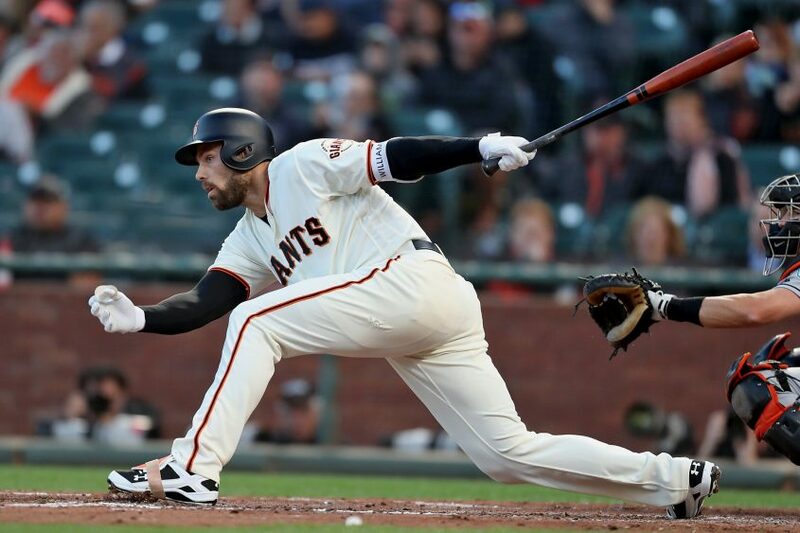 The Giants were hopeful that the version of Mac Williamson who suddenly appeared at the plate with Justin Turner’s swing late last spring would resurface again, particularly because he is out of minor league options. 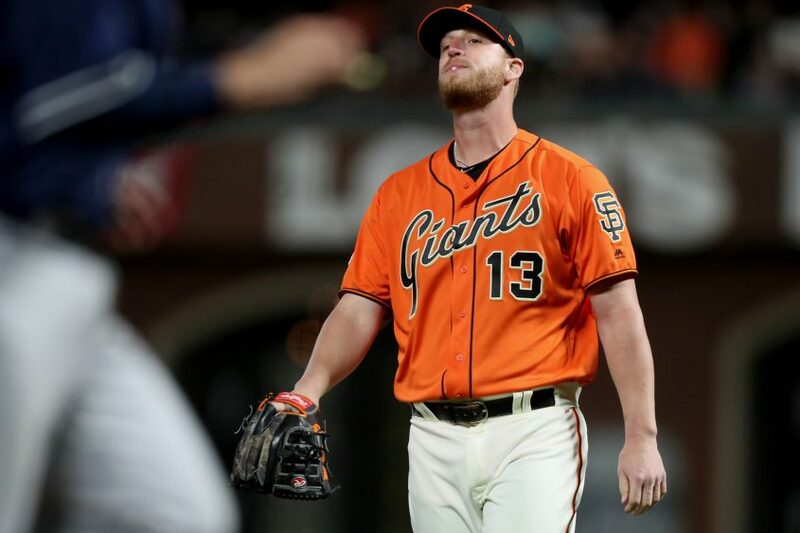 After a terrible concussion sustained tripping over the home field bullpen mound at Oracle Park in 2018, Williamson’s season was disappointingly cut short, and he continued to struggle with symptoms for months. He appeared back to himself this spring, but his performance was underwhelming. To add insult to injury, he took a 93-mph Brian Schlitter fastball to the right hand in the team’s final exhibition game with the A’s Tuesday. 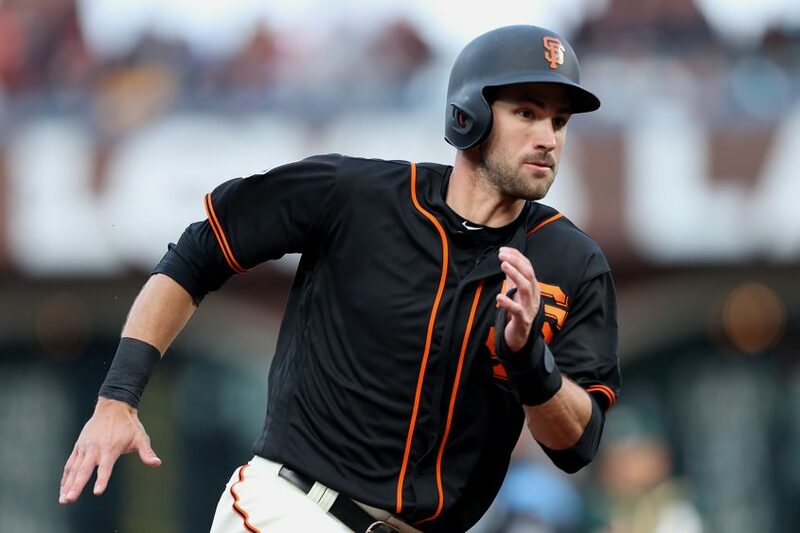 X-rays were negative for fractures, and the Giants ultimately designated Williamson for assignment, so his future with the Giants is uncertain. Recent trade acquisitions Connor Joe (Reds), who will play primarily in right, and Michael Reed (Twins), who will be in left field, will round out the outfield with Gerardo Parra at platoon. In addition to right field, Joe plays first and third. He got his first taste of Triple-A last season with the Oklahoma City Dodgers (yes, Joe is another Zaidi deep-cut) and in 49 games he slashed .304/.435/.554 with 11 home runs. Reed has minimal big league experience, just 22 games since 2015, but he had a 14 percent walk rate for Atlanta’s Triple-A team in 2018 and slashed .363/.459/.539 with a 185 wRC+. Scot Tucker/SFBay San Francisco Giants first baseman Pablo Sandoval (48) stretches to get Milwaukee Brewers first baseman Jesus Aguilar (24) out in the first inning as the Milwaukee Brewers face the San Francisco Giants at AT&T Park in San Francisco, Calif., on Friday, July 27, 2018. 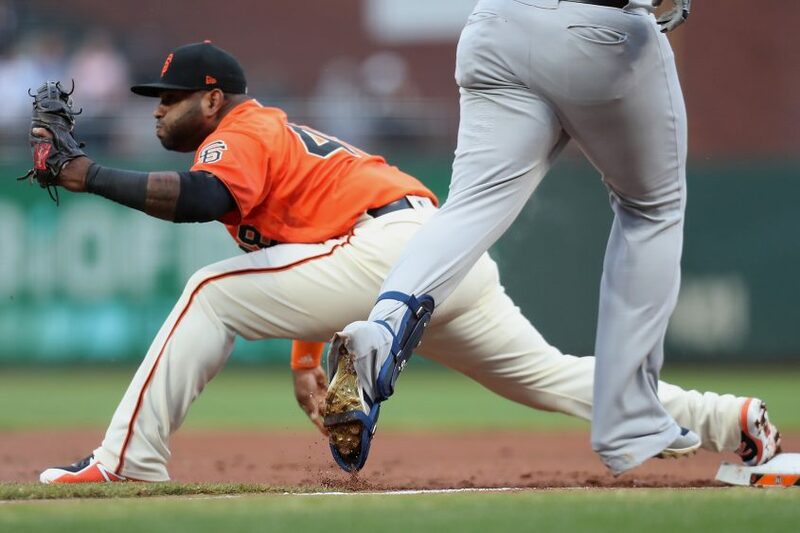 Bochy announced Tuesday that he had the difficult job of giving Alen Hanson the news that he didn’t make the cut, but the Giants will keep Yangervis Solarte and Pablo Sandoval to fill out the bench. Solarte can play second, third and short and Sandoval has put in a lot of work on increasing his versatility as well. He started at first, second and third bases during his 2018 campaign, not to mention the scoreless frame he pitched against the Dodgers last spring. Will Smith will continue on as the Giants closer in 2019, a role he transitioned into beautifully last year. And bullpen denizens Sam Dyson, Tony Watson, Mark Melancon and Reyes Moronta will all be back. Scot Tucker/SFBay San Francisco Giants relief pitcher Will Smith (13) watches two runs score on a hit by San Diego Padres first baseman Eric Hosmer (30) in the ninth inning as the San Diego Padres face the San Francisco Giants at AT&T Park in San Francisco, Calif., on Friday, June 22, 2018. RHP Nick Vincent, who was a non-roster invitee to camp this spring, will be a newcomer to the Giants bullpen in 2019. A former Mariner, he pitched 56-1/3 innings of relief for Seattle last season and posted a 3.99 ERA with a 1.154 WHIP. Travis Bergen, a 25-year-old lefty the Giants picked up in the Rule 5 draft from Toronto, is another newcomer. Bergen has never pitched above Double-A ball, but he wowed in camp this spring striking out 13 batters and posting a 1.69 ERA with a 0.844 WHIP in 10-2/3 innings relief. At this rate, it’s unlikely the Giants will give Bergen back to the Jays any time soon. Trevor Gott is a righty who also turned heads this spring. The Giants picked him up for cash from the Nats in February and he struck out 13 batters in 11-2/3 innings relief, posting a cool 0.00 ERA with two saves in camp. Smith may still be used as a trade chip at some point in the near future but the Giants have depth in Triple-A in guys like Ray Black and Ty Blach, and Melancon could easily move back into the closer role to fill any void. 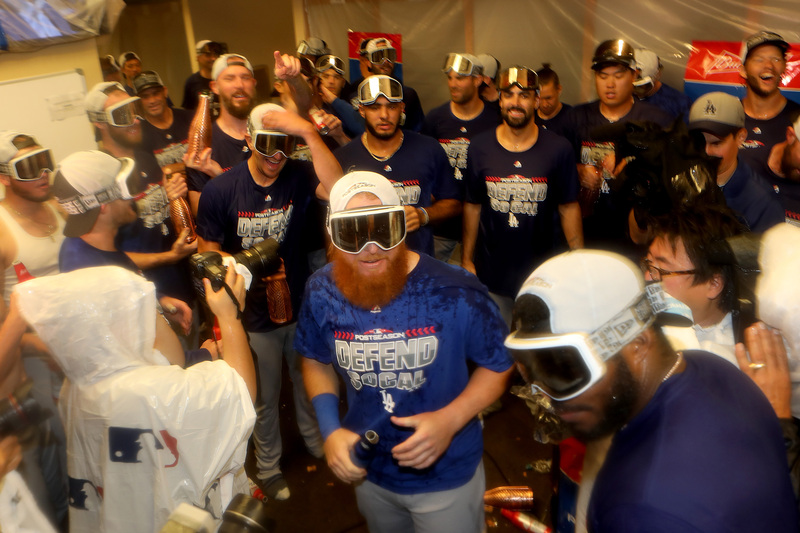 So, it seems the Giants are not tearing down — at least not right now. Instead, it appears that the new president of baseball ops is simply trying to remove obstacles from the path of the core while complementing them with understated additions wherever possible. Nothing splashy, just the Bergens and Reeds of the world. Bumgarner takes on Padres left-hander Eric Lauer for the 1:10 p.m. season-opener in San Diego. 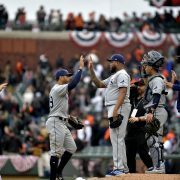 After a four-game set, the Giants will fly to Los Angeles for a three-game series against the Dodgers before returning for Opening Day at home April 5 against the Rays.